“The man who has experienced shipwreck shudders even at a calm sea.” said the poet, Ovid. 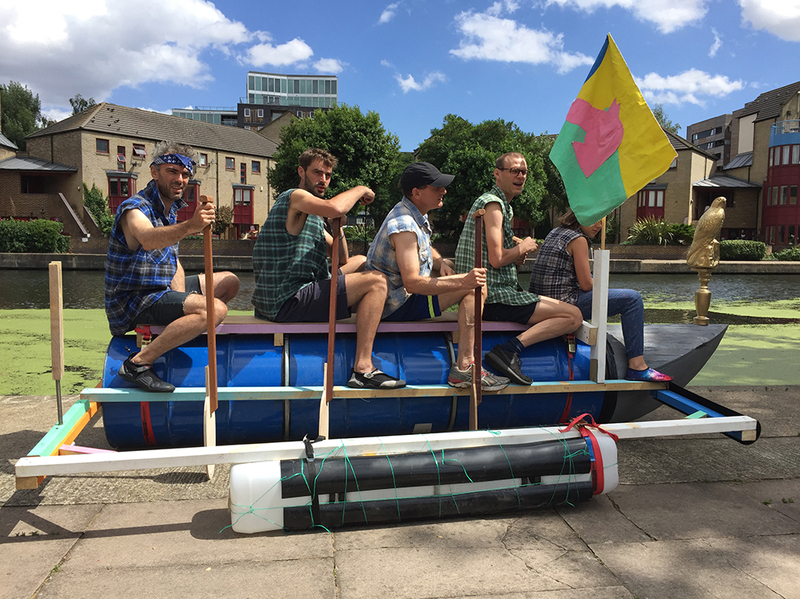 Aye, but not us, after two brave but failed attempts at navigating the treacherous waters of the City Road Basin, the Blackhorse Team returned to face their competitors with the new and improved Mark 2 BW raft. Unfazed by previous sinkings, Captain ‘The Spindoctor’ Enrique stepped up to the challenge with a new and improved design, by adding a timber frame and recycled jerry cans for extra buoyancy. The addition of a rudder which would be manually operated by Marc ‘Chisels’ Wood improved the steering of the vessel and a bespoke nose cone made by crew member Hugh ‘The Orginal Blackbeard’ Laughlin provided the missing aqua-dynamics that previous vessels lacked. 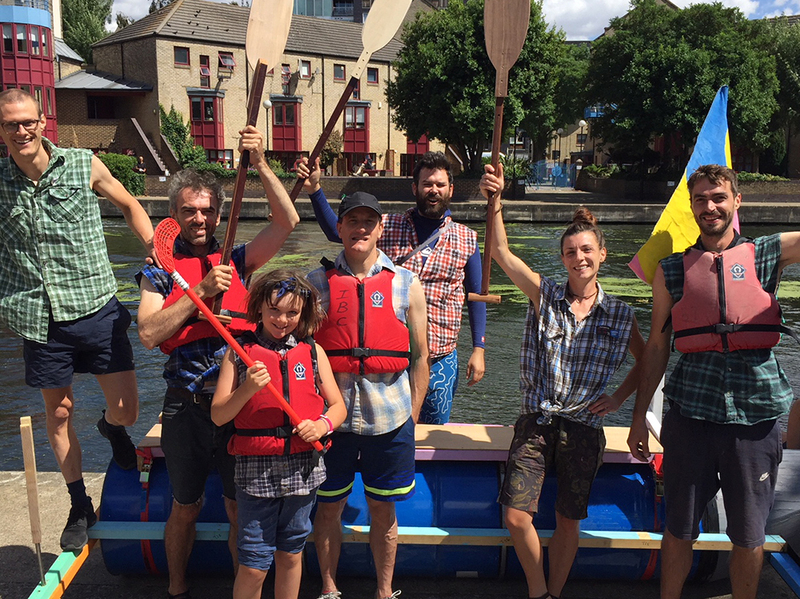 And on top of all that, Dan ‘The Kraken’ Higgins who can boast actual pirate heritage produced the fastest set of oars on the planet, put to the test by Christina ‘I’m actually’ French and Christopher ‘Bubbles’ Guest. But secretly, it may have been the powers of the Golden Hawk that propelled the mega-raft to victory. 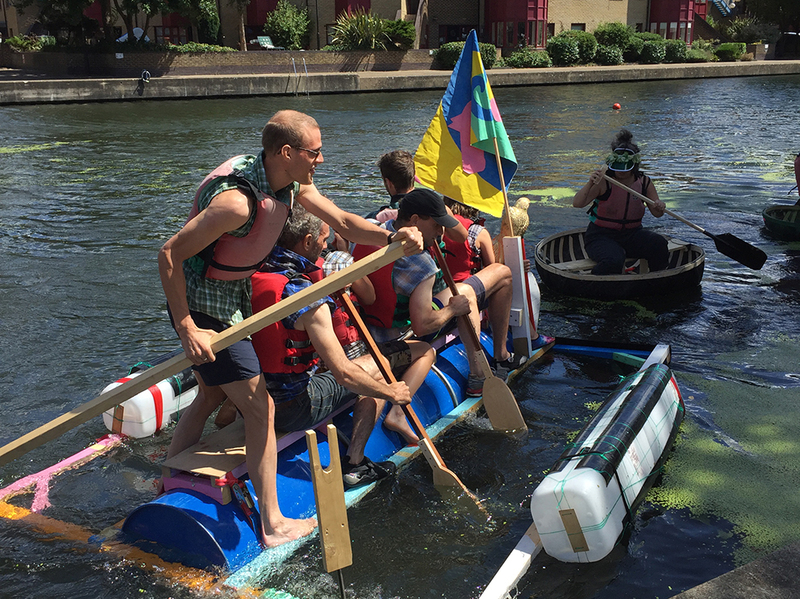 Heat 1 saw the team glide across the waves to claim their first win against the locust-like Coracles from the Institute of Making, they were not put off by the sheer number of them. 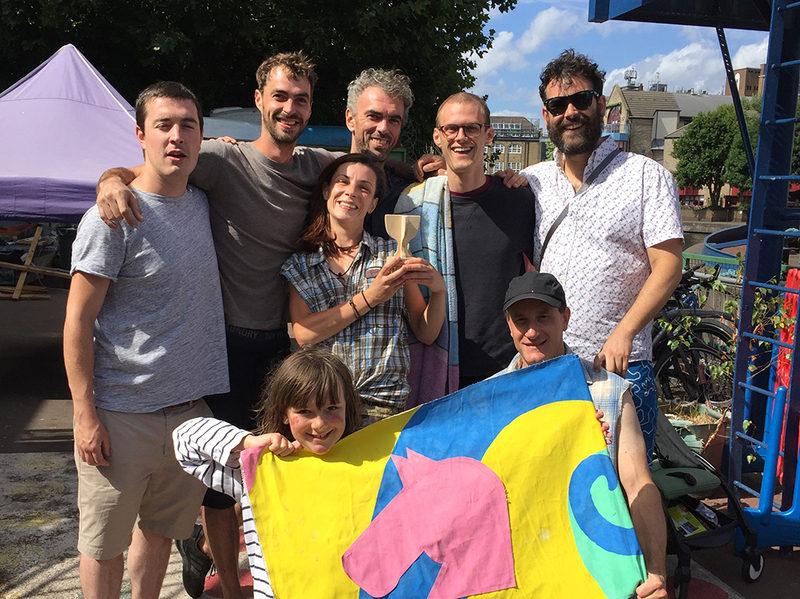 They met the crafty Coracles again in the final where they had to combat some fishy pirate action and acts of sabotage, it was close, the judges and the Mayor were left to deliberate and Blackhorse were rightly awarded the title of Class 1 Craft! Special thanks to Joe ‘The Locksmith’ Carroll who provided additional transportation, Ruthy Arnold for producing our superb flag, Bruce Saunders for the mascot, and all those who came along to cheer. Sadly we have forfeited the Golden Hawk, she will return to us next year…we hope.